Today, I went to a church picnic, and afterwards a group of about 12 of us went to play a game of ultimate frisbee. We played for a bit, and after about 30 minutes when some of the other players dropped out, I was the oldest one playing – at the ripe ol’ age of 38. If you’re not familiar with the game, it’s fast-paced like soccer or hockey. But the rules are kind of like football. You have two teams, and you advance by tossing the frisbee to each other. You have to stand still when you throw it, and if the frisbee hits the ground the other team takes possession. The object is to get the frisbee into the other team’s endzone. There is a lot of running back and forth with little stoppage in play, you’re moving around for most of the time. I gotta tell ya – I hike as much as I can ; I walk 10,000 steps (at least) every day; I take 11 flights of stairs at work and sometimes do the entire 28 while on a break without stopping; I watch what I eat; but this game was something else. I was able to run back and forth at full energy for a couple of end-to-ends, but it wasn’t long after that I started getting tired and couldn’t go full out. I could stay on my feet, and didn’t black out, but my body was not letting me sprint back and forth to get open and cover people. Ultimate will do that to you, because there’s so much turnover in play, and it’s not like football where the play ends after every one. It’s continuous, so it’s more like soccer, but faster paced so it’s more like hockey. But whereas hockey has substitutions of players and stoppages in play, ultimate doesn’t so in that regard it’s more like soccer. My team was playing against a couple of people who played in college, so that team destroyed us. I was no competition. I am not an athlete, and I never was, but that was clearly obvious this time around, too (as usual). The only sport I’m decent at is floor hockey, and to a lesser extent football, and to a lesser extent badminton, but to a great extent hiking (which is an activity, not a sport). I think to myself “Could I have played continuously back in my twenties?” And the answer is “I don’t know.” As I said, not only am I not an athlete, I never was. But over a decade ago I feel like I was able to go longer without getting tired. Or maybe I never played a sport where I had to be on the entire time (the exception is sponge hockey where there were some games where I had to play the entire time, and during those games I got just as exhausted). Still, playing with friends was a lot of fun and I would do it again. Anytime. Even though I’m still the oldest guy on the field. If you’re on Facebook, you’ve no doubt noticed various friends of yours doing the 22 push-up challenge. The idea is that when someone tags you in a post, you have to do 22 push-ups per day for 22 days in a row; each day you are supposed to record yourself doing it and uploading to Facebook. This is to raise awareness for Post Traumatic Stress Disorder (PTSD) that occurs so rampantly in military veterans. I had noticed this was going on so I decided to do my own challenge even though nobody had challenged me. I decided to do it to get into better shape and help strengthen my shoulder muscles because I have chronic neck and shoulder pain that requires me to go to a massage therapist. My goal was this – do 25 pushups on day 1, and then on each following day do 2-3 more. And at first, I could do it. 25, then 28, then 30, then 33. And so forth. My goal was to get to 100. But then I started having problems. On one day I got to 50, but the next day I couldn’t do more than 35. What the heck? A drop of 15 overnight? What’s going on? Even worse, my lower abdomen beneath my belly-button was hurting while I was doing it, and even running into the next day. I started doing research online, and I discovered that this was normal. Instead, I had to rest 2-3 days in between pushups and let my muscles recover and rest. And that’s what I have been doing. But I still can’t push past 50 pushups. Instead, I do a whole bunch, rest, do a few more, rest, and continue. I’m currently up to about 90. My goal is to get to either 100 without stopping, or 200 with rests in between. I still have a long way to go, but I’m making progress. Did I ever tell you the time I went to a cult meeting? Oh, let me tell you about it. It was so weird. It was two and a half years ago, and one of my friends wanted to go to this celebration. A lot of people were going to be there and he wanted a ride, so I said I’d take him. Maybe it would be fun. This was a special occasion as some of the local deities that the cult members worshipped were involved in an annual ritual, and this worship meeting was dedicated to celebrating the deities. Let me tell you, it was a crazy atmosphere. There were two groups of deities and the event was televised, but unless you identified yourself as worshipping the local deities, you were ostracized and insulted. Maybe of the worshippers there wore clothing signifying their identification with the group, and some of them even painted their faces. During the celebration on TV, whenever the deities did something positive, all of the cult members cheered and screamed loudly, giving a chant “SEEEEE… HOX!” They chanted it over and over again. Many of the members consumed copious amounts of alcohol, and it was encouraged by the other members. Everyone who clearly identified themselves was treated as a valued member of the cult, even if they hadn’t met before. Screaming at the TV was encouraged, and saying a word against the local deities was discouraged regardless of whether or not a competing cult member made a good point. I didn’t like the cult mentality. No tolerance for other views, loud people getting in each others’ faces, an atmosphere intended to reinforce all of this. I decided I wouldn’t go back the next year. The Seattle Seahawks in the Super Bowl turned the local fan base’s party into as repressive a cult as any you can imagine. Tomorrow, Feb 23, 2014, is the gold medal men’s hockey game between Canada and Sweden. The game is 4 am local time where I live and I plan to get up and watch it (whether or not I execute on that plan is still up in the air). I watched the Canada/US game and Canada just has a big, pounding defensive style. They clog up their defensive zone and it’s tough for the opposition to get anything going. They get one shot on goal and then the puck is cleared (that’s how it was against the US, anyhow). Olympic hockey rinks are bigger than NHL rinks and that favors fast, passing teams which is what European teams like Sweden are known for. And this Olympic tournament has demonstrated that Sweden is a good team – they have skilled players and they good at streaking and passing. But Canada’s defense is suffocating. I think that gives them an advantage because the passing and fast skating is neutralized if you can’t get anything going. As I said, I am not the best analyst. Team Canada does have the best players in the world but the fact is I am Canadian and I want Canada to win. That probably shapes who I think will win more than I consciously realize. Anyhow, that’s my rationale for the pick. But what I want to discuss is my goal of getting up at 4 am and watching the game. Why am I doing this (trying to do this)? I enjoy hockey but I’m not a huge fan (it’s my second favorite game to watch but my favorite to play). I don’t watch very many games anymore. When I was a kid I used to watch a lot but less so now. Instead, the reason I will make the personal sacrifice of waking early is because I like the commitment that it demonstrates. 12 years ago, I was living in England. It was also the same year as the World Cup of Soccer and it was hosted in Japan and South Korea. I wasn’t a big soccer fan but all of my friends were. And, the big game in the opening round was England vs. Argentina! I was unemployed at the time, this was right after the dot com bust. So, at 6:30 in the morning I left my house and walked down to my friend’s place where a bunch of us watched the game and witness England defeat Argentina 1-0 after David Beckham scored on a penalty kick late in the first half. Even though the game was super early, it was a lot of fun. I don’t remember much about the game but I do remember enjoying hanging out with everyone and the experience of getting up to watch a sporting event. That’s why I plan to get up tomorrow. It’s a big sporting event, men’s Olympic hockey only happens once every four years and the next time they not even have NHL players in it. This could be the last time I see Canada win gold (or even play for gold). But more especially, I want to recapture that experience. So why not get up? Every time I’ve made such a commitment, I’ve enjoyed it. Hopefully this time is no different. I was listening to the radio a couple of weeks ago where the Atlanta Braves baseball team were requesting a new stadium. There was some negotiation with the city and eventually they agreed to a land deal in Cobb County which is just outside of Atlanta. I’m not sure of all the details but the owner of the Braves, Ted Turner, was threatening to leave the city unless he got a new stadium or massive renovations to the old one. I am fundamentally opposed to sports teams owners getting public money to construct a new facility. The public taxpayers assume most or all of the risk of developing it and will have to pay for it for years or even decades. In return, the owners keep a professional sports team in the city and collect all the profits while incurring little or none of the risk. The argument is that sports teams generate a lot of revenue from the off-shoot industries like ticket sales, sports agents, and other sorts of public spending. Yet the economic reality is that sports teams are basically a trade-off – if someone spends money to go to a baseball game, they normally would have spent that money to go to a movie or buy clothing or some other recreational activity. The net effect of a new stadium is mostly neutral. There is no free lunch. Neutral for the public, that is. On the other hand, it’s a great deal if you’re an owner. You get all of the upside with almost none of the downside. If you happen to own a football, baseball or basketball team and you are in a large market, you make money. If you’re an NHL owner and you are north of Utah, you’ll make money. That doesn’t seem fair to me. Back when I was growing up, my favorite hockey team was the Winnipeg Jets. This was because I lived in (near) Winnipeg and they were my local team. I knew all the players and faithfully read the Winnipeg Free Press every day to see if there was any Jets news during the winter. I started watching in the spring of 1988 when the Jets were eliminated from the playoffs by the eventual Stanley Cup champions, the Edmonton Oilers. From that point forward, the Jets were always a mediocre or poor team. They either finished third in their division and lost in the first round of the playoffs, or last in their division and missed the playoffs. After the 1996 season, the Jets moved to Phoenix. I followed them for a season or two before finally losing interest and not following hockey too closely. After I returned to Canada in 2002, I followed hockey again but I didn’t have loyalty to any one particular team. For a while I liked the Ottawa Senators and the Vancouver Canucks but I was not that attached to them. Because I didn’t have a local team, my personal attachment went down. 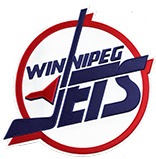 The Jets returned to the city in 2011 when the Atlanta Thrashers moved to Winnipeg. Everyone in Winnipeg was excited! No one in Atlanta noticed. 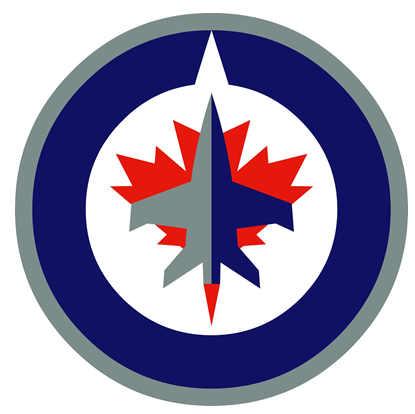 I have many friends back in Winnipeg who follow the new version of the Jets and express their disgust when they lose games and can’t get it together. In both the 2011/2012 and 2012/2013 seasons, the Jets missed the playoffs. The first year back they were fairly far out of playoff contention but last year they missed it by a little bit. I’m not sure if my friends are serious or not about their expectations for the Jets. Before they left for Phoenix, the Jets were very hit-and-miss. They were either one of the worst teams in the league or an average team. The modern Jets are still basically the Atlanta Thrashers and the Thrashers were a terrible team. In the eleven seasons since they came into the league in 1999, they only made the playoffs once. They have only had 3 winning seasons their entire history (and one of them they had one more win than loss). In other words, the current version of the Jets, when they moved, were not a very good team to begin with. I don’t get too upset with them because, in my emotionally detached state, I don’t see them as a good team not playing to its potential, but instead as a bad team doing as well as it can. Yes, it’s fun to cheer them on. Yes, there’s always hope that perhaps one day they will go on a playoff run (they haven’t advanced in the playoffs in nearly 30 years). Yes, let’s go out to games and have a good time. But let’s keep our expectations realistic. At least for a few more years.